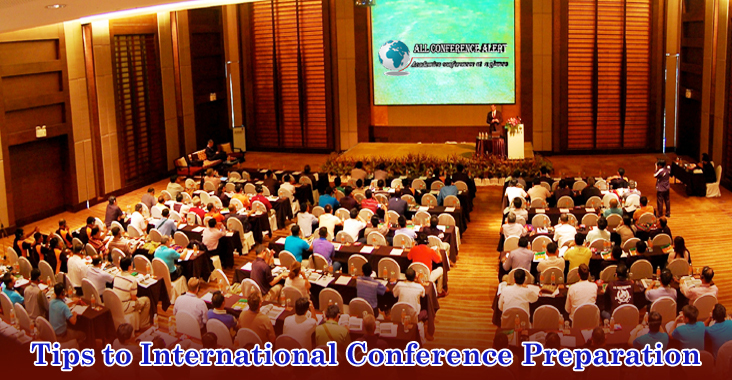 Here are few good, easy and simple tips that one can use to compile and execute for any International Conference presentations. These signify the things that great announcers do well and base presenters just spoil. The purpose of any presentation is to give the audience a sense of what your work or proposal is, make them generously read your paper and get useful feedback from them for your Conference Presentation. So let’s just scan few of these points and try implementing them in any presentation we give! Learn to organize your content: Make sure your talk has an effective beginning that introduces the content to your listeners, and an end that explains your conclusion. Etiquette: Try being brief and formal. Do not exceed your allocated time. Know and understand your Audience: Analyse and do a bit of research in understanding your audience to have a better flow during your International Conference Presentation. They could be scientists, Students or any one of your domain or maybe mixture of them. Try having something for all. Speaking: Try taking a deep breath and calm down yourself. You can then start with a joke to grab the attention of the audience and put them at ease. Testify the structure and key points of your argument openly and clearly at the outset and again in summary. Make sure you have paper presentation. Visual and Projection: Try keeping it simple yet elegant. Keep it modest enough for anyone to easily understand your Conference preparation. Get there early to give yourself time to set up without rushing or to avoid any kind of havoc. Providing Hand-outs: Avoid distributing hand-outs before or during your talk .If you want the audience to walk away with a body of information about your presentation, hand it out at the end. Handling Questions: Repeat the question again and again, be respectful, have patience, Finish by asking person who asked that question if you answered it sufficiently for them or if they are still unclear of any point or any topic. The Skeleton: Problem in the current scenario, motivation and goals, your approach and your key ideas. Why is your approach better? Feedback: Ask for feedback; understand if listeners are satisfied with your presentation. Make the feedback session very interactive, try making it fun. Make sure the audience or listeners take interest in your feedback session. You could start with probably a joke or something funny to grab their attention. Smile: Give a beautiful smile after your presentation and thank the audience for listening to you. Physical presence: Try following the dress code if any; else make sure you are at your best.